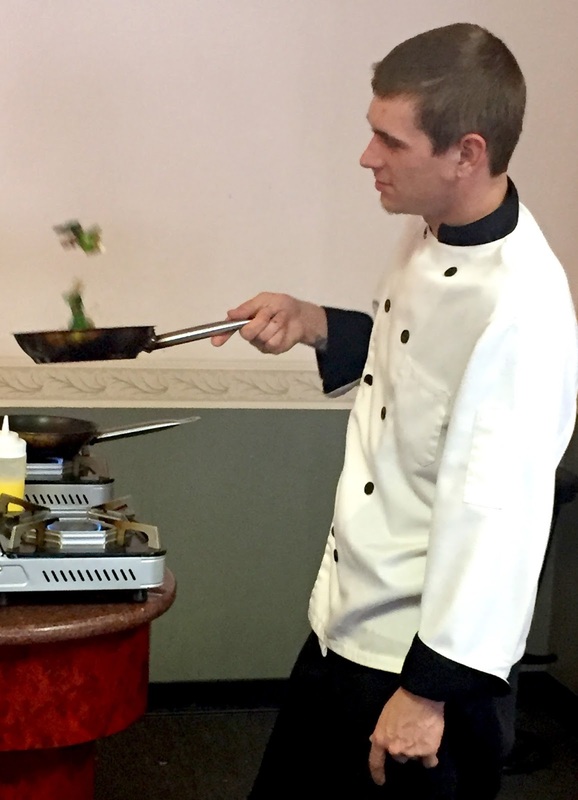 If you’ve attended a banquet, wedding reception, chamber luncheon or corporate event in the Kansas City area where food was served, chances are you’ve tasted Affordable Elegance’s food. In 1997, Greg and Dee-Dee Stokes rented space in a building in Raymore and combined their talents to begin what is now a nationally-recognized operation. With Dee-Dee’s background in catering and Greg’s background in the kitchen, the pair realized after working together on a job that they should be partners. After their first event, the two had their first date and were married six months later. 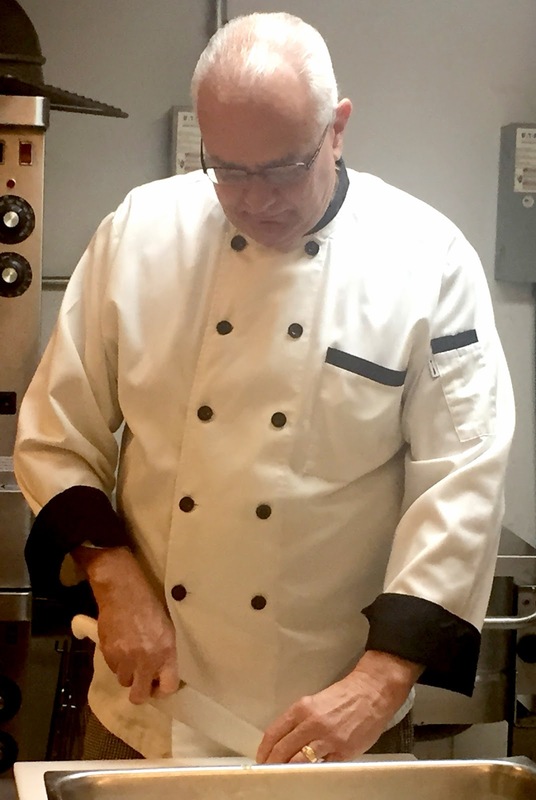 Working in restaurants since he was a teen, Greg began washing dishes and worked his way through different positions at a variety of restaurants, learning the ropes as he went along. Working as Affordable Elegance’s head chef, Greg says that his favorite thing to make is good food. Affordable Elegance provides custom catering for all occasions, as their tagline suggests. The Stokeses tell their employees that a fringe benefit of working for them is that while they are able to eat a lot of really good food, they also have the opportunity to make people happy. 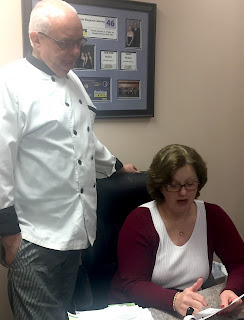 A jack-of-all-food-trades, Greg offers clients the flexibility to customize menus for each event. Affordable Elegance is also a full-service catering business. Dee-Dee explains that they can provide as little or as much as the clients need. For six consecutive years, Affordable Elegance has been named as one of TheKnot.com’s Best of Weddings vendors, and is included in the Best of Weddings Hall of Fame. The Knot Best of Weddings 2017 provides a “by brides, for brides” guide to the top wedding professionals across the country and is a supplier for selecting the best-of-the-best wedding resources. At Affordable Elegance, they pride themselves on consistency. Dee-Dee believes that is why clients return, and that is why they have maintained five-star reviews from their brides. Their business receives inquiries from people through TheKnot.com each day. Affordable Elegance employs around a dozen full-time staff, and a number of part-timers. Nearly six years ago, the couple opened Gregory’s Sunday Brunch. Open from 9 a.m. to 2 p.m. each Sunday, the brunch offers a buffet of breakfast and lunch items, including a made-to-order omelet bar, salad bar, homemade pastries, bananas foster French toast and chocolate chip bread pudding. Because of the size of the Raymore restaurant, Gregory’s can accommodate larger groups up to 200 people, and the space is also available for special events and private parties throughout the week. Greg and Dee-Dee Stokes also have a heart for community service, and give back whenever feasible. Food leftovers that are not given to clients are donated to a local ministry to help serve a community meal. Last year, over 5,000 meals were served with food Affordable Elegance provided to that ministry. Affordable Elegance, located at 407 W Pine Street in Raymore, can be contacted at 816-331-4528 or at www.affordableelegancecatering.com. Gregory’s Sunday Brunch, at 401 W Pine Street in Raymore, can be found at www.brunchkc.com.